The future of HBO appears to be bigger and broader, if the major changes made by parent company WarnerMedia last week are any indication. AT&T largely allowed WarnerMedia and its subsidiary companies to do their own thing after it closed its acquisition of them last year. The U.S. government, which opposed the merger, had appealed, and AT&T agreed to give the unit a degree of autonomy in case the merger was overturned. After the government lost the appeal and said it would not be taking it to the Supreme Court, the gloves came off. HBO chief Richard Plepler and Turner president David Levy announced their imminent departures from the company, with former Showtime and NBC executive Bob Greenblatt brought in to lead content for WarnerMedia, including HBO and the company’s upcoming direct-to-consumer streaming service. The departure of Plepler -- steward of the company’s brand for the past six years -- and the arrival of Greenblatt suggest a new focus for the premium brand. Greenblatt led programming for HBO’s chief competitor in the premium pay-TV space, Showtime, and subsequently led entertainment for one of the “Big Four” broadcast networks, NBC. As WarnerMedia plots out its upcoming streaming service, the company has said that it will be built around HBO, supplemented by programming from other WarnerMedia companies, and original programming. In other words, it will be bigger, and it will be broader. Bigger was a theme at WarnerMedia CEO John Stankey’s first meeting with HBO employees last year. He emphasized that HBO needed to add more programming, and couldn’t fuss within certain genres, as it had in the past. Greenblatt, who knows the ultra-premium and ultra-broad arenas well, is well suited to help WarnerMedia navigate that world. For decades, HBO served as the crown jewel of traditional TV, the premium channel with no commercials that only produced the highest-end dramas, smart comedies, documentaries and other shows. Now it has to compete with Netflix, which has those same genres, as well as reality shows, low-brow comedies, and small budget dramas. As HBO expands its programming and brings in shows from its sister companies, the changes WarnerMedia is bringing also raise another tantalizing possibility: advertising. 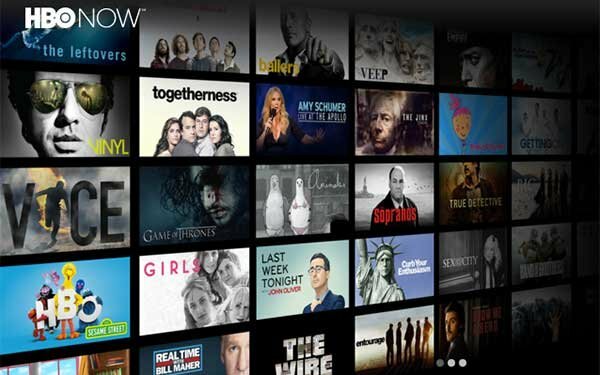 The company has already said that the upcoming streaming service will include ad-supported tiers (powered by AT&T’s Xandr unit) and premium ad-free tiers. Will HBO programming soon be available at a lower cost to consumers, bolstered by ads? It certainly sounds plausible. As consumer habits change, and streaming slowly becomes the medium of choice for consuming TV content, the traditional players in the space have to change as well. WarnerMedia is making a big swing on its upcoming streaming service, and redefining HBO’s place in the market. Will it be enough to become a top-tier player in streaming video? That is a question very much waiting for an answer.